Daytona Beach is well-known as a spring break destination, the place for bike week and for the speedway found within the city. It's found in Volusia County, Florida about 51 miles from Orlando, 86miles from Jacksonville and 242 miles from Miami. The population in Daytona Beach is about 63,000, but it's also visited by a number of NASCAR fans, motorcyclists and beachgoers every year. Speedweeks in February, the Daytona 500, the Coke Zero 400, Bike Week, Biketoberfest and 24 Hours of Daytona are all huge attractions every year. The city is a part of the Deltona-Daytona Beach-Ormond Beach Metro area, which is home to nearly 600,000 people. All the visitors, along with the regular residents make this a dangerous area for drivers. Volusia County sees an average of 6,500 traffic accidents every year. A little over 700 of the accidents involve alcohol every year. The county averages more than 125 fatalities from accidents and more than 5,000 injuries every year. Interstate 95 runs through the area, which is known as the most deadly highway in the country. The Florida stretch of I-95 saw more than 660 fatal accidents from 2004 to 2008, which was more than any other stretch of highway in the country. Traffic accidents in Volusia County and Daytona Beach are on the rise. A total of 37,495 traffic tickets were given out in Volusia County for 2015. Out of those tickets, 13,293 were given out for speeding, while another 4,445 were given out for careless driving. Only 13% of the tickets issued were dismissed by a judge. This means, the chances of your ticket being dismissed are very slim. Your Daytona Beach driver's license could be suspended if you don't obey the traffic rules. Each ticket you receive will have a point value assigned to it. Points for traffic violations include"
You won't need many tickets to end up with a suspended driver's license. If you get 12 points in one year, you will face a 30-day suspension. Get 18 points in 1.5 years and face a 90-day suspension. If you happen to rack up 24 points in 36 months, you will face a 365-day suspension. 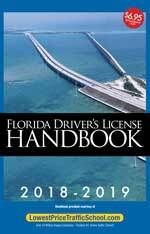 Receiving a traffic ticket in Daytona Beach means you may be on your way to a suspended driver's license. However, if it's your first ticket or you haven't used the basic driver improvement school in a while, you may be able to avoid points on your license. 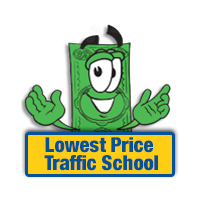 Traffic school will help keep your insurance rates from going up, too. You will need to pay your ticket and let the clerk of the court know you will be taking the basic driver improvement course. Then, enroll in online traffic school and take it at your leisure at home. After you complete the course, you will need to turn your certificate into the clerk of the court. Traffic school eligibility is easily determined by how many times you have taken the basic driver improvement course and when the last time you took it. If you've never taken the course, you're eligible. However, if you haven't taken the course in the past 12 months, you may also be eligible. You're only allowed to take the course five times in your lifetime, as well. Traffic tickets issued in Volusia County are handled by the Volusia County Clerk of the Court. They will take all the payments and handle your questions. If you plan to enroll in traffic school, make sure you let the clerk of the court know. Find out more information about the Volusia County Clerk of the Court by visiting their website.